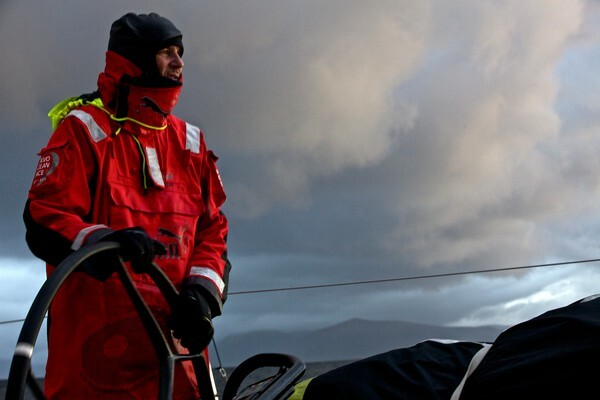 After going head to head for more than 6,000 nautical miles there's still nothing between PUMA and Groupama today and PUMA skipper Ken Read reckons Leg 5 won’t be decided until the final 250 miles. 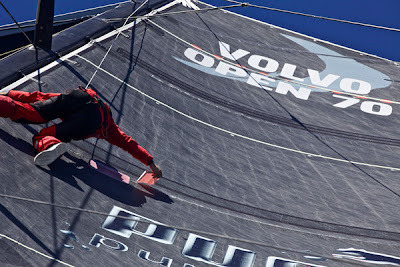 Just five miles separated the leading pair at 1000 UTC as they locked horns in an intense battle up the Argentine coast. 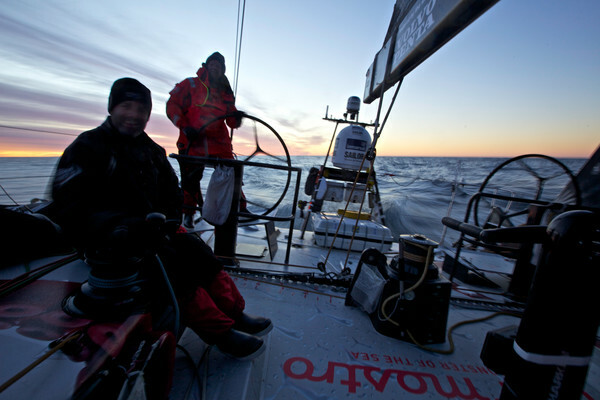 However, according to Read victory will be decided by the team which best navigates the fickle weather systems just off the finish line. “All this drag racing is fun but the race is most likely going to be won and lost in the last 250 miles where it is notoriously fluky,” he said. “We have to get round the top of another high forming in front of us, which means getting offshore a little bit, heading away from the mark. Read, the ‘old man’ of the race at age 50, joked that while the tight racing was great for fans, it wasn’t so good for his health. “If you said to me when we were leaving Auckland that we’d cross the Southern Ocean through storm after storm, round Cape Horn, cruise halfway up the coast of South America and be within 200 metres of another boat, battling it out for first place, I would have told you that you are absolutely insane,” he added.